The last photo is powered supports being installed on the the last face that was to be worked at Betteshanger (52s Face). The Trade union would not agree to work week ends to make up for a fall in production while this face came "on line" so the board closed the pit. I've visited Trehafod pit - an excellent experience. The winding house machinery is incredible. 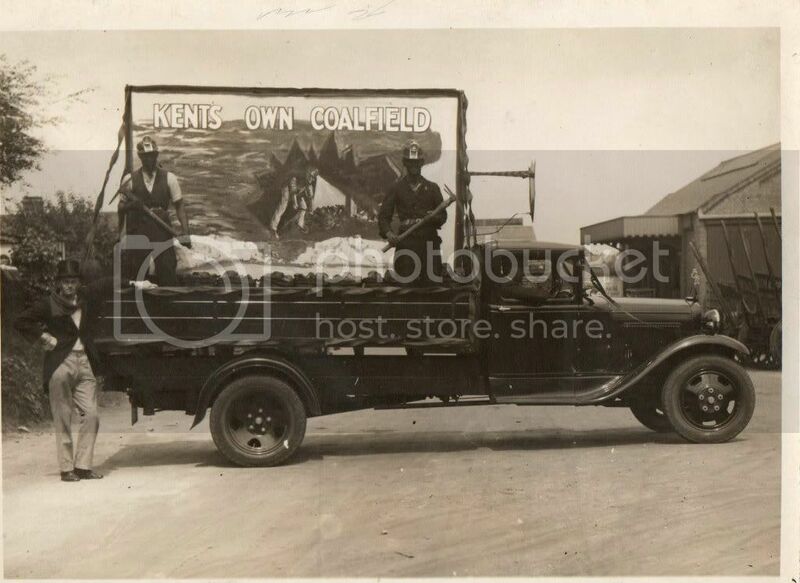 Is any of the Kent Coalfield machinery still in existence? Have been down Big Pit. Very enlightning, and worth a visit to get some idea of conditions underground. Today they are lowering a piano into the pit, in order to hold a concert, in memory of all those who have lost their lives underground. For those interested in Coal Mining history, I suggest a visit to the Big Pit Museum, Wales. An actual Mine has been preserved near enough as a working pit. Visitors have to wear a miners helmet with battery light, and go down in a lift . Must say I was quite apprehensive, but glad I went and saw the working conditions. The Under Manager's office at the pit bottom of Betteshanger Colliery. Under Manager Bill Breeze at his desk. Take your point, though my intention was to conduct an underground tour as it were.....perhaps better had I left out references to individual pits. Apart from the first two pictures which contain references to individual mines the rest are illustrative of any coal mine but do relate to the Kent pits. Without help I would be hard pushed to identify the other pictures to individual pits. Sorry. Sorry to be a pain but can the photos be added to the threads for each coal mine. Threads like this get confusing and hard for people to search. Thank you. The secret of the coal face of course is to keep it advancing. As the props and girders are moved forward the roof is allowed to collapse behind therefore taking off the weight. Didn't always work of course, Mother Nature being a fickle lady, and roof collapses in the working area happened for a variety of reasons. Amazing photos - best I've seen of a coalface. I can't believe that pit props are strong enough to support the incredible weight above them - frightening. 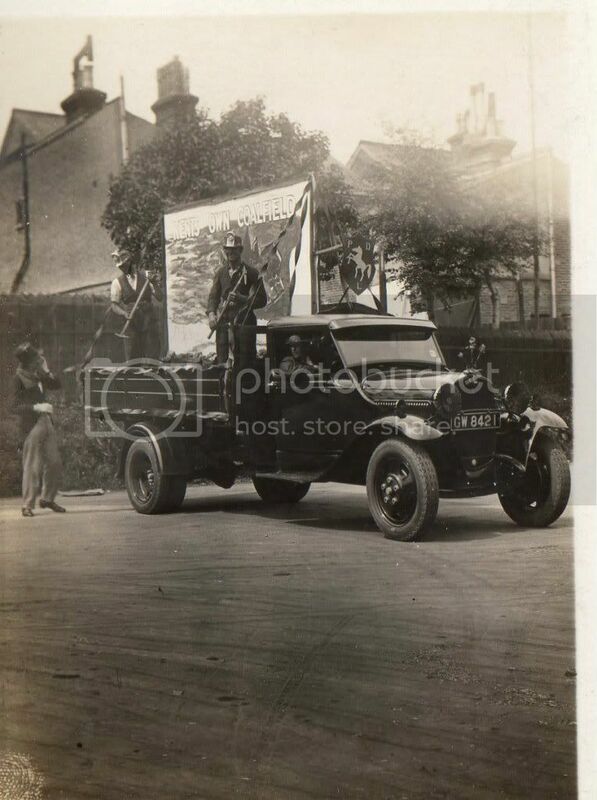 All the pictures posted here were originally contained within the picture gallery of the "Coalfield Heritage Initiative Kent" website. The relative orderliness of the Under manager's pit bottom office at Betteshanger Colliery with Bill Breeze at his desk. The main pit bottom roadways leading to the East and South East districts within Chislet Colliery. Conditions further into the pit take on a harsher reality. A good example of how the floor of the tunnel heaves upwards over time as pressure from the strata above pushes down on the tunnel roof supports. A task known as "dinting" carried out at these locations to maintain the height of the roadway by levelling the floor again. Operating an Eimco electric bucket loader either on development of new roadways, or in a heading in front of an advancing coal face. Up to the "main gate" end of a coal face. The loading end of the face conveyor seen in the centre left of the picture. Anderton Shearer coal cutter on a face not yet equipped with hydraulic chock roof supports, but still on props and girders which are manually advanced by men on the face after each pass by the coal cutter. Anderton Shearer coal cutting machine in operation on a coal face. After a pass by the coal cutter the face conveyor on the right of the picture is pushed up to the coal, and the roof supports on the left are also drawn in towards the conveyor to await the next pass by the cutting machine. I'm not 100% sure of the task in hand here, but the roof supports on trams (left of centre) would suggest salvage from a worked out coal face. I stand to be corrected on this one. Hope that all makes a bit of sense to those who couldn't imagine the workings of a coal mine, and doesn't sound condescending to those who have worked there or have knowledge of the complexities of winning coal. In my last year at school in 1969, I had an organised visit to go down the mine. What an experience it was, it left me with nothing but admiration for those hard working fellows, something I shall never forget. Do you have any more pics? Those are great. What lovely pictures, thank you for sharing them with us!